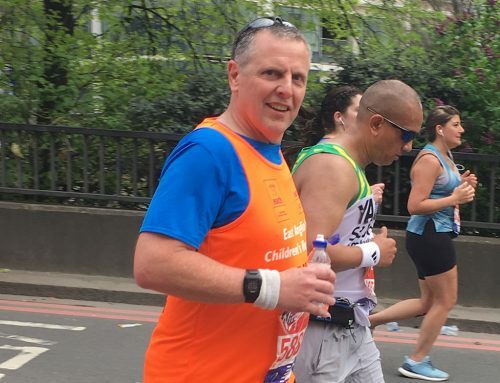 We have a long history of supporting local charities, and this year we’ve made the commitment to raise at least £10,000 for East Anglia’s Children’s Hospices and their nook appeal. EACH, which provides support for families and cares for children and young people with life-threatening conditions across Norfolk, Suffolk, Essex and Cambridgeshire, launched their nook appeal in 2014 with the specific aim of raising £10million to transform childrens’ palliative care in Norfolk, with the construction of a new, purpose-built hospice called ‘the nook’ on a 5-acre woodland site just south of Norwich. 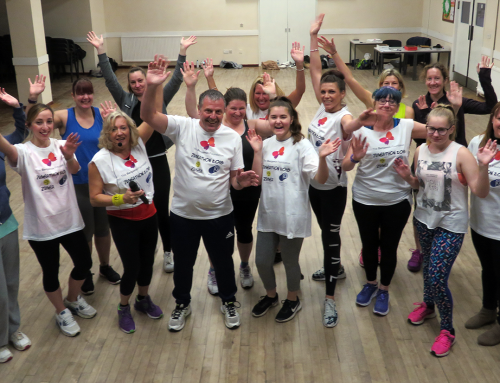 To help support this aim, they formed the nook business network, working with local businesses such as Pruce Newman to raise a specific amount of money over the duration of the appeal. 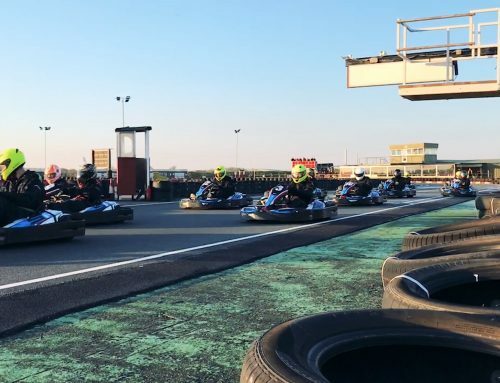 We’re challenging ourselves, our colleagues, our clients and our suppliers to work together to raise at least £10,000 between now and December 2018, and we’re confident that we can achieve that goal. 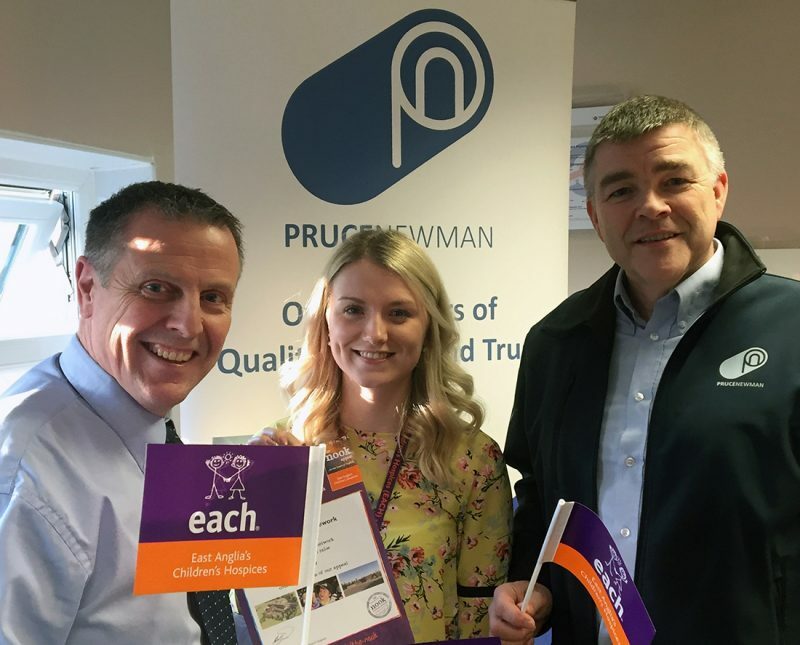 “As a family firm with its roots firmly in East Anglian soil, Pruce Newman have been regular donors to EACH for as long as I can remember. 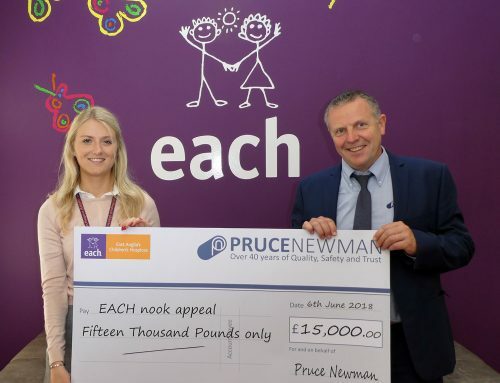 The fact that EACH offers such vital support to families across the region in which Pruce Newman operates and that they concentrate on ensuring that young people, with life-limiting illnesses, can reach their full potential, resonates strongly with the ethos of our business. In the past, EACH has been one of several charities that Pruce Newman supports annually. This year we have made the decision to change how we donate, and will concentrate all our efforts on one charity for the whole year. We’re proud to be working with EACH this year, and in particular the Nook appeal, as we would like our support to be more targeted and effective in enabling the completion of this vital resource within 15 miles of our Head Office. 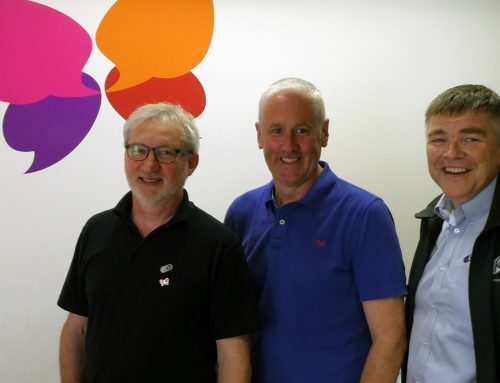 To reach the £10,000 mark, we will be fundraising in a variety of different ways – we’ll be hosting our own fundraising events, sponsoring events hosted by EACH, and members of the Pruce Newman team will be completing their own personal challenges, such as running events, triathlons and the annual Colour Dash. We’ve set up a fundraising page hosted by Virgin Money Giving, which will provide a secure method for us to receive donations, and we’ll be posting regular updates on our fundraising page, on our website, on our social media feeds, and elsewhere – if you’d like to support us, visit uk.virginmoneygiving.com/team/prucenewman to donate.